Turbulence is nature's spoon. Without the mixing it provides, we could get no fresh air to breath and just about everything in the modern world would overheat or freeze. Yet hydrodynamic drag is the curse of turbulence, not to mention violent weather. Huge computers are increasingly the workhorses for understanding and predicting turbulence. 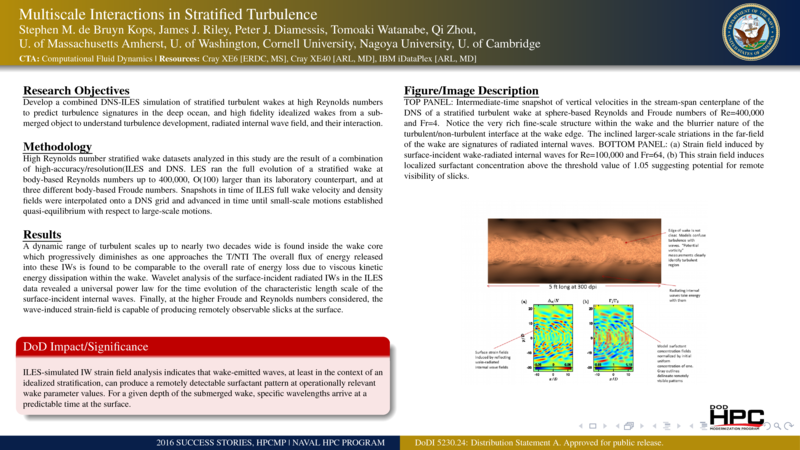 Here at UMass we run some of the largest simulations in the world to understand some of the most basic features of turbulence. I am an old man now, and when I die and go to Heaven there are two matters on which I hope for enlightenment. One is quantum electrodynamics and the other is the turbulent motion of fluids. And about the former I am rather more optimistic. Those who knew the British applied mathematician Keith Stewartson (1925-1983) will recall that his strongest term of scientific condemnation was "unrigorous". I'm sure he regarded the whole phenomenon of turbulence as being unrigorous and probably invented by the Devil on the seventh day of Creation (when the Good Lord wasn't looking); I am inclined to agree. Turbulence is the most important unsolved problem of classical physics.